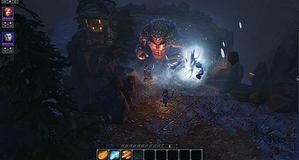 Turn-based fantasy RPG Divinity: Original Sin has been out for a bit now, so has developer Larian Studios been driven penniless? No, says, studio founder Swen Vincke. It's flooding coffers with cash. 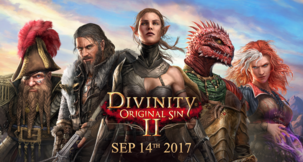 The studio boss has posted a blog sharing his 'what comes next' thoughts, and stating that Divinity has broken even, and they've done "sufficiently well" to look forward. The RPG has sold "well over half a million" copies by now with most naturally occurring through Steam, with 10% from retail - that place with the bricks and mortar. "Break even” has been reached, our debts have been paid and we are now in the profitable zone. While not all of the money is for us as we had private investors on board, the game did sufficiently well for us to envision funding our next endeavors with it, meaning we’re pretty happy about its performance," blogged Swen Vincke. 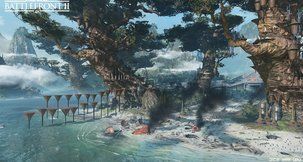 He adds: "So much for turn-based fantasy RPGs not selling, crowdfunding not working and a developer like us not being capable of bringing a game to market without the help of seasoned publishers." Oh, burn! "Releasing D: OS has been a fantastic and rewarding experience, but it’s also been a very tough game to make. There were a surprising amount of hurdles we had to jump and negotiating them wasn’t always easy. I wish I could share my mailbox so you could appreciate some of the finer nuances of some the prose that was directed at yours truly, but alas, confidentiality obligations prevent me from doing so." "The release of D: OS was one big crunch period with all the good and bad that come with it. If the game ultimately did well, it’s because of the outstanding performance of the team when “the going got tough and the tough got going”. 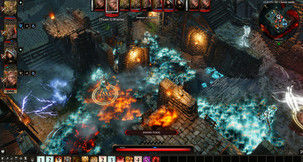 The ugly truth is also revealed by the founder, saying Divinity: Original Sin could have spent longer in the programming mines, but financial pressures meant they had to deliver or face oblivion. "I think we would’ve continued development even longer, but when I had to dash to a far away place where lived the one last bank director who still wanted to give us sufficient credit to pay a part of what we owed to another bank, it was clear that we needed to finish," said Vincke. "I wasn’t joking when I said it was all in." "When D:OS finally shipped, a lot of us were exhausted. Perhaps surprisingly, but typically, not all of us were happy that it was finished, as there were still a ton of things we wanted to do. Our bodies and our families had different feelings however. They were very happy that it was over and we needed to make quite some amends." So what does lie ahead for Larian Studios? "Our plan is to continue supporting D: OS for quite some time as this is the RPG framework on which we’ll build our next games. We’re fooling around with controller support to see if a big screen version with cooperative play would work well, something I’m silently hoping for as I think it’ll be a lot of fun, more so perhaps than playing coop in LAN with a friend sitting next to you," continued Vincke. "We’re also improving the engine itself as well as adding a bunch of extra features that not only make D: OS more fun and more friendly to players, but that will also improve whatever our next offering will be. We’re also adding extra content, like for instance the big companion patch, voiced et al, and I imagine that won’t be the last of what we’ll add." 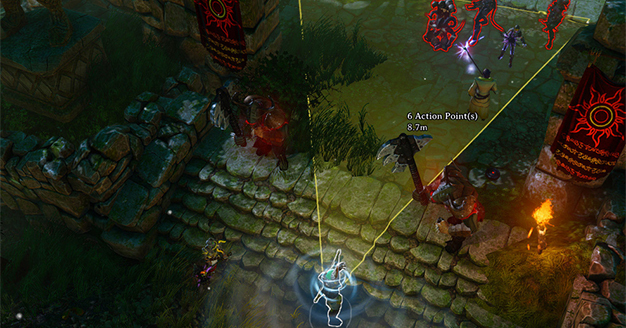 "The foreseeable future for Larian (i.e. the next couple of years) is going to see us making further progress in improving our RPG craft and creating dense game worlds with hopefully new and innovative gameplay systems based on old school values. These last months I’ve been very busy expanding our development force so that we can continue to compete in tomorrow’s market," he explained. 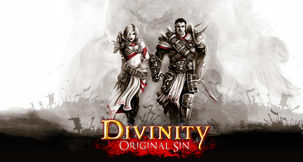 Check out Swen Vincke's full blog write-up on his thoughts after releasing Divinity: Original Sin.